We're an independent optical supplier, dispatching orders around the world. Based in Hampton , south-west London. All UK orders over £30 qualify for free First Class Signed For delivery. Non-prescription orders are sent within 2 days. Prescription orders are dispatched as soon as they are ready, which is usually within the working week. All orders placed with us for over £30 qualify for free First Class Signed For Delivery. But if your order is extra-special, needed urgently or more expensive, we offer and recommend an upgrade to Royal Mail Special Delivery. Choose this for priority handling, guaranteed next working day delivery and full insurance in transit. Handy if you just want to be sure! Authentic, brand new item (designed for UK market). 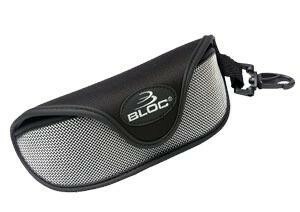 Please contact us for any further information, and see below for more details on the Bloc Sunglasses brand. BLOC is a UK Performance Eyewear collection. Constantly refining of designs and innovation of styles and materials technology ensure we offer the ultimate in eyewear performance, fit and protection for any condition. It encompasses the latest fashions to ensure performance is not achieved at the expense of style. We offer traditional local service combined with great online prices. All sunglasses and accessories shown are ready to ship the same or next working day. © 2012 MyIwear Ltd. All Rights Reserved.